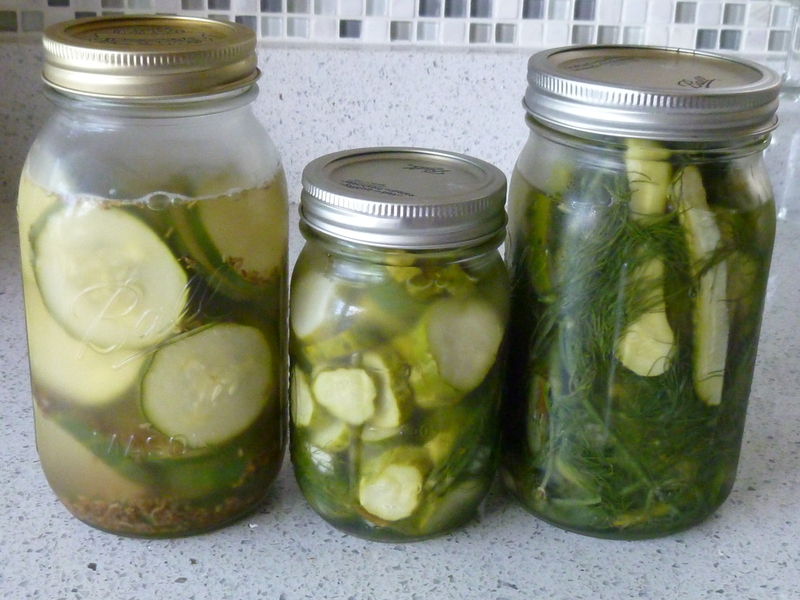 Two Approaches to Refrigerator Pickles – Easy + Quick! Let me begin this post be stating: I love dill pickles. The whole family does. I only made one batch last year, and it was gone within a week. And so… we began the summer with 3 lovely cucumber plants and dreams of a bountiful harvest, leading to a plethora of homemade pickles. We headed away on vacation in June with multiple very-promising cucumbers starting to appear. I felt buoyant with hope.